By now, having Marvel characters cameo in films headlined by others is nothing new. In fact, Iron Man fully intends to keep that proud tradition going by putting in an appearance in Spider-Man: Homecoming this July. And with Ant-Man and the Wasp just around the corner, moviegoers are starting to ponder if any other Avengers will get a piece of the action in that particular offering. 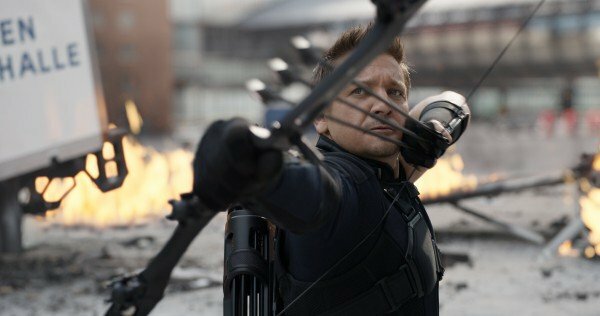 Thanks to recent reports, many fans thought they could put the mystery to bed when word on the street was saying that none other than Jeremy Renner would be reprising his role of Hawkeye. Now, that did seem totally within reason because, lest we forget, Clint Barton made his Marvel Cinematic Universe debut seemingly out of nowhere in 2011’s Thor, so oddball pairings are not beyond the realm of possibility. On a similar note, who’d have thought we’d see the Falcon in the first Ant-Man film? See, not everything is as clear cut as the likes of Captain America and Black Widow working together. Well, I guess he’d know better than anyone who’s appearing in his movie, now wouldn’t he? As for who could be featured in a small role, your guess is as good as ours, but let’s not rule out a newcomer like Black Panther. You’d think Iron Man would seem like a natural fit, but with the gruelling task of having to shoot two Avengers movies back to back, Robert Downey Jr. is probably carefully picking his spots these days. Ant-Man and the Wasp arrives in theaters on July 6, 2018.